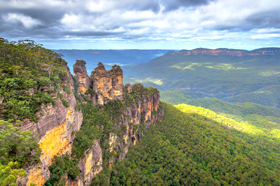 A well traveled route that is a favourite of foodies and wine connoisseurs alike, the journey from Sydney to Melbourne is a tour of rich colonial history and gorgeous wine country that extends from the bustling towns of the east coast to the serene white caps of the snowy mountains region. 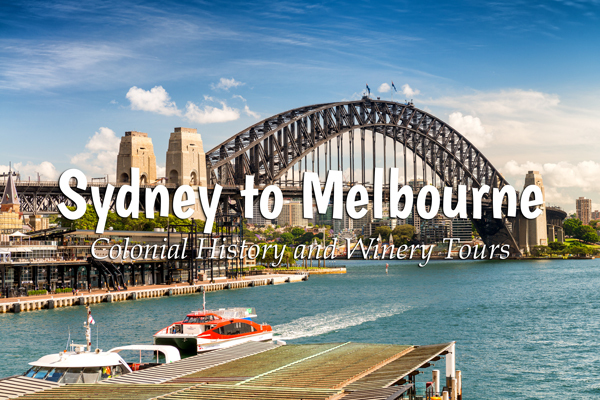 Alive with food and fun at whatever time you choose to visit, this route is a must do for those with a week or two up their sleeves who are willing to spend a little time to become acquainted with the more refined side of Australian culture. With something for every visitor, whether you’re a grey nomad or a young backpacker looking for adventure, you wont be disappointed with your tour of the great southern route. So what are you waiting for? Get yourself a campervan and jump on the road today! What better place to start your campervan adventure than one of the most iconic cities in the southern hemisphere? Famous for its beaches, culture, nightlife and historical landmarks, Sydney is a sight to behold and an ideal starting point in your journey south. Explore the city’s local and indigenous culture with the many local walks and exhibits on offer as well as the budding food and wine scene as you tour great sites such as the Harbour Bridge, the Opera House and Bondi Beach. When you have taken in the sights, head south on the Hume Highway to start your journey. If you’re lucky enough to be travelling in Spring you’re in for a treat at your next destination. 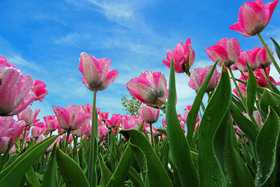 The annual ‘Tulip Time’ festival begins this season in the Southern Highlands of New South Wales. Just down the Hume Highway, this region comes alive every year with flocks of visitors coming to see the many wineries,museums and local national parks that can be found throughout the area and makes for a delightful experience for those seeking the best in local produce and fun festival vibes. Continue further south to the town of Goulburn at the center of the local wool production industry and snap a photo with ‘Rambo’ the local 15 meter tall Merino sheep which is both a moniker and mascot for the region. Your next stop on the trail south is Canberra, home to Australian politics and some of the country’s most memorable museums and snowy regions. Take your time to explore the Australian War Memorial the National Art Gallery and the National Museum of Australia. If time permits head outside the city limits to experience the historic local townships, beautiful alpine forests and the famous Snowy Mountains. Once you’ve had your fill of historic landmarks, indulge in the popular food district of Manuka and take a leisurely stroll down the waters of Parliament House to round out your experience in the nation’s capital. Your next stop is the beautiful town of Tumut at the gateway to the greater snowy mountain region. Situated on the river Tumut and surrounded by a mountainous backdrop, it is a picturesque remnant of colonial settlement in the area that still carries with it the softwood mercantile traditions of its founding. The surrounding wilderness region plays host to a range of outdoor activities from bushwalks to hangliding and birdwatching whilst relaxing at the local African Violet Farm. Enjoy the serenity and unique feel of the area before heading off again along your way. Wine lovers beware, you may want to consider turning back now as after crossing the border into Rutherglen you may never want to leave again! Set amongst the Victorian Alps and the neighbouring Murray River. This area is one of the oldest and well renowned wine and food regions in the country. From a history as a gold mining town to a world famous producer of vintage Australian wine, Rutherglen has a wealth of attractions to offer from historical gold rush sites to extensive vineyard and scenic tours. Whatever your inclination, you wil be fully satisfied with an experience here. The enjoyment continues further south with Bendigo; the final stop on your journey and another pre-colonial gem full of life and culinary adventures to be explored. A collection of heritage listed buildings, trams and vibrant vineyards will capture you upon entering this small Victorian town, and as you make your way down the city’s main street toward the city hall it is hard to not get caught up in the charm of one of Australia’s oldest gold rush towns. Reminiscent of the 1800’s, there is a strong Chinese heritage in the town, along with a mix of other interesting cultures which can be seen on display at the annual Bendigo Easter Festival. The Art Precinct is a must see in Bendigo, home to prestigious Australian art exhibits since the 1850’s, along with the performing arts centre which opened in 1873. You can experience some of the local drops and food produce in the region at many of the downtown restaurants and surrounding wineries or try your hand at gold panning just outside of town. Enjoy the remainder of your journey among the cool leafy streets and welcoming local establishments before setting off on your way to Melbourne.